Notes: + Difference between this estimate and the 2015 estimate is statistically significant at the 0.05 level. 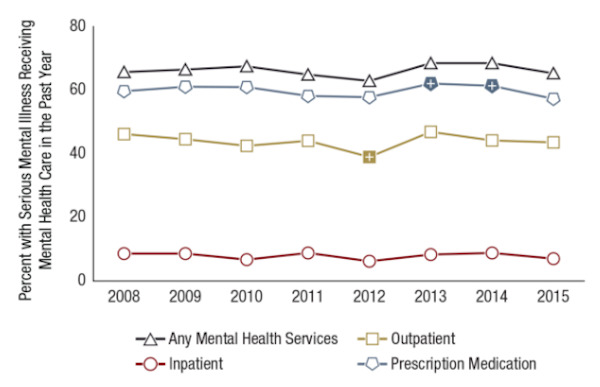 Among adults aged 18 or older with serious mental illness in the past year. This entry was posted in Medicine and Society Data Watch on October 12, 2016 by Genevra Pittman.